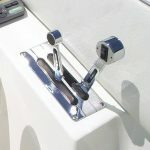 If you are about to spend a significant amount of money on the used boat of your dreams, then you may want to consider hiring us to complete a pre-purchase inspection on the prospective boat. We will use our many years of marine technician experience to find any problems with the boat if they exist and are visible. In some cases, pre-purchase inspections are required by your insurance company. Contact Boats Unlimited at 817.658.7721 for more details.